At today’s sitting, the Riigikogu passed two Resolutions which appoint members of the Riigikogu Yoko Alender and Aadu Must members of the Supervisory Board of the National Library, and member of the Riigikogu Toomas Väinaste a member of the Supervisory Board of the National Opera. With the Resolution of the Riigikogu “Appointment of Members of the Riigikogu Members of the Supervisory Board of the National Library of Estonia” (692 OE), submitted by the Cultural Affairs Committee, members of the Riigikogu Yoko Alender and Aadu Must were appointed as members of the Supervisory Board of the National Library of Estonia. The amendments were made because the current member of the board Igor Gräzin left the Riigikogu, and member of the Riigikogu Toomas Väinaste resigned from the board. The Supervisory Board of the National Library of Estonia includes seven members. Member of the Riigikogu Barbi Pilvre and recognised experts of the operating areas of the National Library of Estonia Jüri Järs and Priit Pirsko are also members appointed by the Riigikogu, besides Aadu Must and Yoko Alender. The Secretary General of the Riigikogu Peep Jahilo, and the Secretary General of the Ministry of Culture Tarvi Sits, by appointment of the Minister of Culture, are members of the board by virtue of their office. 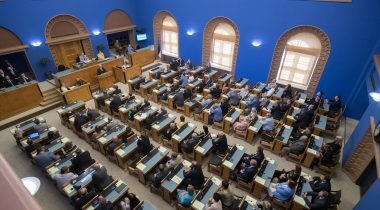 72 members of the Riigikogu voted in favour of the Resolution and there were two abstentions. With the Resolution of the Riigikogu “Appointment of a Member of the Supervisory Board of the National Opera” (693 OE), submitted by the Cultural Affairs Committee, Toomas Väinaste was appointed as a member of the Supervisory Board of the National Opera to replace the current member of the board Martin Repinski who has left the Riigikogu. The Supervisory Board of the National Opera includes 11 members, three of whom are appointed by the Riigikogu. Maire Aunaste and Urve Tiidus are members of the board appointed by the Riigikogu, besides Toomas Väinaste. The Supervisory Board of the National Opera also includes members appointed by the Minister of Culture: Arne Mikk, who is the Chairman of the board, and Secretary General of the Ministry of Culture Tarvi Sits; a member appointed by the Minister of Education and Research: the Secretary General of the Ministry of Education and Research Tea Varrak; a member appointed by the Minister of Finance: Tea Varrak; a member appointed by the Council of the Estonian Academy of Music and Theatre: the Rector of the Estonian Academy of Music and Theatre Ivari Ilja; a member appointed by the management board of the Estonian Theatre Union: Riina Viiding; a member appointed by the management board of the Estonian Composers’ Union: Rene Eespere; and a member appointed by the management board of Estonia Society: Mart Mikk. 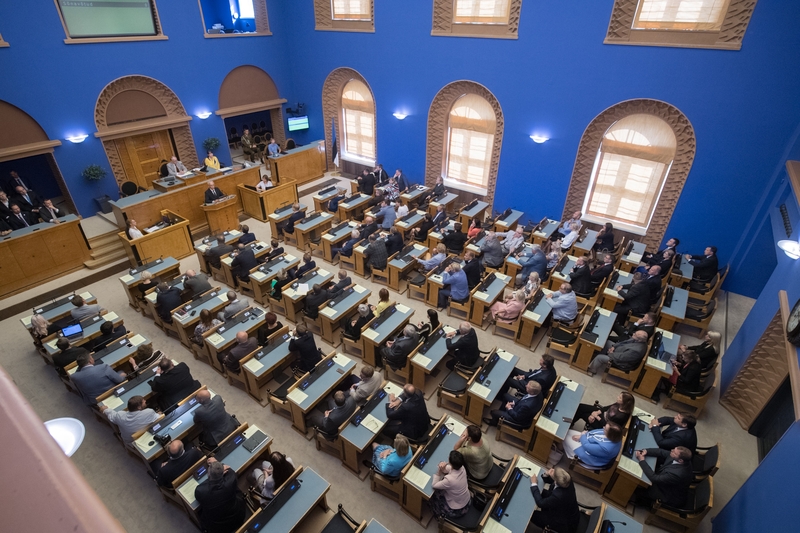 68 members of the Riigikogu voted in favour of the Resolution and there were five abstentions.